Revlon 1-Inch Ceramic Flat Iron Just $13.99! Down From $24! You are here: Home / Great Deals / Amazon Deals / Revlon 1-Inch Ceramic Flat Iron Just $13.99! Down From $24! Hurry over to Amazon and score this Revlon 1-Inch Straightening and Curling Ceramic Flat Iron for just $13.99 PLUS FREE Shipping with Amazon Prime on orders of $25 or more! Are you always on the go but still want to look presentable and beautiful? This is the answer! This Revlon Ceramic Flat iron is dedicated to helping women achieve beautiful hair that you’ll love. Whether you want gorgeous blowouts, big waves or straight locks, this is the ultimate hair tool to complete your look. The Revlon Ceramic Flat Iron is lightweight and has an ergonomic design. 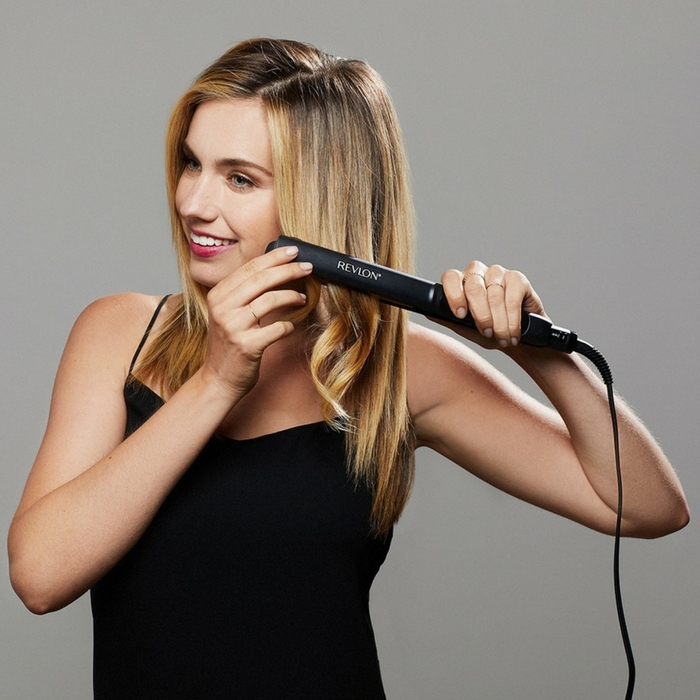 It also has a 15-second super fast heat-up and ten customizable high heat settings of up to 455 degrees making this flat iron great for anyone. Plus, the ceramic-coated plates help protect your hair from over-styling with an even heat distribution that penetrates and styles from inside out for a smooth and shiny result.